Year after year, whether it’s hosting a car wash or comforting someone who is going through a tough time in life, Paul is there. This past Christmas the community at StaxUP Storage in El Cajon went to work in hopes of adopting not one, but two families for the holidays. At the beginning of December, the community was invited to purchase candy in the front office or make a donation to the “Help Us, Help Them” cause. “The last three years, I get a few names of families from the church across the street and put them up on the bulletin board and collect gifts. I think it’s great that the company supports that!” Paul said. Sadly, the pastors who provided families for the “Help Us, Help Them” drive in previous years moved away. To find recipients for this year’s “Help Us, Help Them” donation drive Paul had to get creative, “I want to help some people!” He said. “I contacted a person I knew from the local non-profit Victory Outreach and they knew someone who was in a shelter last year with her four young boys, ages 10, 8, 6 and 2-years old and they weren’t going to have anything,” Paul said. 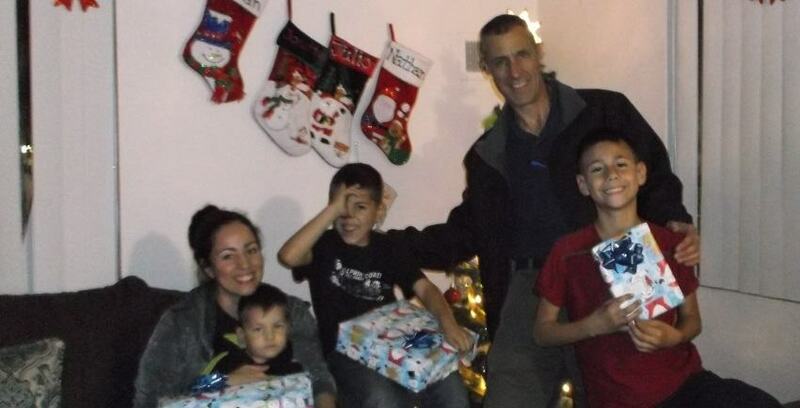 Paul gathered all the items he had purchased and delivered them to the family two days before Christmas. He said they were so appreciative and thankful for the modest gifts. Great work to Paul and the rest of the StaxUP Storage team in El Cajon. We do hope all of our customers had a wonderful Christmas. We’re so happy 2019 is off to a great start!